How Can a Moving Company Charge $75.00 for a 3 Men Moving Crew?! Lexel MovingMovingHow Can a Moving Company Charge $75.00 for a 3 Men Moving Crew?!?! So, you request 3-4 estimates from a moving company. Two out of the three estimates are very competitive but close in price range. These are the standard industry rates. Then you receive another estimate that’s a whole lot cheaper than the first two. There is one problem, the estimate seems too good to be true (you’re right). Your gut instinct tells you, “Don’t accept the offer!” But, you ignore the nagging feeling. Unfortunately, many consumers fall victim to moving companies that offer dirt cheap rates for subpar service. Let’s face it, we live in a society where people demand high-quality service at rock bottom prices. Some people become mesmerized by the possibility of receiving quality for less money. Somehow, it makes them feel like they’ve beaten the system and won. Unfortunately, some people fail to realize they will actually pay more in the long-run because they’ll more than likely have to hire another company (the one they should have hired in the first place) to fix mistakes. There is a logical explanation for why many people make bad buying decisions. There is one aspect of moving that most people will agree with – moving can be very expensive. A household move costs approximately $2,300 (intrastate) and $4,300 (interstate), in the United States. It is not surprising when people feel compelled to hire companies that charge way below standard rates. For example, $75.00 for 3 men moving crew. A red flag should instantly go up in a person’s mind when a moving company charges extremely low rates. They are running a charity. They don’t have the proper insurance coverage. They take advantage of their workers by paying them less than the industry standard rates. Moving is already a very stressful process. Wouldn’t it be better to pay extra, and receive superior service, than pay cheap rates and get ripped off? 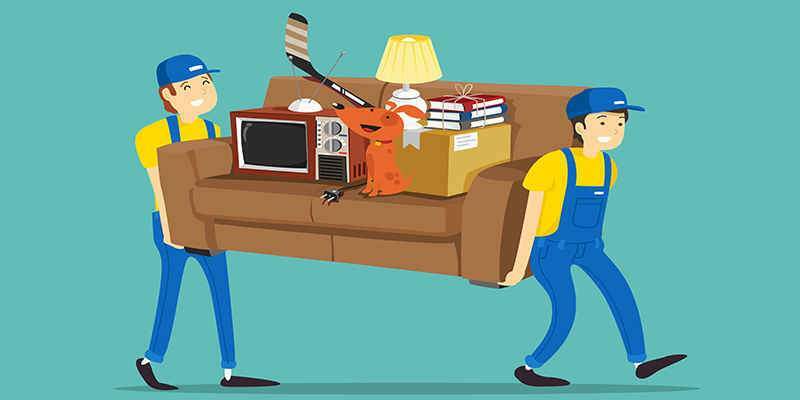 When it comes to moving, some people should be reminded of the old adage, “You get what you pay for.” They are usually reminded shortly after enduring a nightmare experience. The movers were inexperienced and careless. They charged hidden fees and held our belongings hostage until we paid them. The moving company never showed up. Items were damaged, the company refused to pay for damages. Poor customer communication. No one ever returned our phone calls. These are just a handful of complaints. How much should you really pay for moving services? Moving rates are subject to change based on the availability and dates. For example, August 30 or the 31th would be more expensive than mid-June due to the high volume of moves and high demand. There are many components that a moving company takes into the equation when putting out the price tag. One of the main is the self cost of labor. Drivers get paid $17.00-20.00/Hr on average, and helpers get around $15.00 – $17.00/Hr. Fuel on a local move, within a 25-mile radius, is around $20.00. Insurance (covering the Workers Compensation, General Liability, and Automotive Insurance) would add around $50.00 on 1 single move. According to government regulations every business falling under the section: “moving” has to pay $9.44 per each $100.00 on the payroll for the Workers Compensation. Scenario: If a 3 men crew works for about 7-8 hours (an average 2-3BR townhouse), and they get approximately $100.00 each on the payroll ($300.00 total), Lexel Moving owes around $28.00 – $30.00 for the Workers Compensation alone. General Liability and Automotive would add another $20.00 on the same move. On average, one move of a 2-3BR townhouse takes 7-hours, costs us $329.00 on labor, $50.00 on insurance, $20.00 on fuel, around $20.00 on truck expenses, $30.00 wrapping material expenses, and $50.00 on marketing expenses to get the lead/job booked. The total expense would be $499.00. When you divide the cost of 7-hours, it comes out to $71.0 self-cost. And, this doesn’t include parking, storage, office expenses, and office workers salaries! There is no way a professional moving company could offer a rate of $75.00 for a 3 men crew and run a reputable business. Quality service comes with the price. Only choose experienced moving companies. Experienced movers have worked with numerous clients and have an established reputation. Therefore, they have more to lose compared to a moving company​ that hasn’t been around for a while. Don’t rely on price alone. Make sure you compare 2-3 moving companies before making a final decision. Never make your final decision based on price. Check the company’s reputation as well. Don’t rely solely on the search engines and review sites, like Yelp, when checking out a company’s reputation. Yelp and Google reviews are good, but you should also check to see what people are saying ‘right now’ on social media (Facebook and Twitter). Simply type in the company’s name, in the search area, with the company’s name and a hashtag (#themovingcompanyname). Social media is usually the first place that people go to when they want to share their buying experiences. One of the reasons why the moving industry is saturated with poor service providers is because consumers constantly give them the satisfaction. When more people stop giving their business to cheap companies, they will have no other choice than to shut their doors or raise the bar.